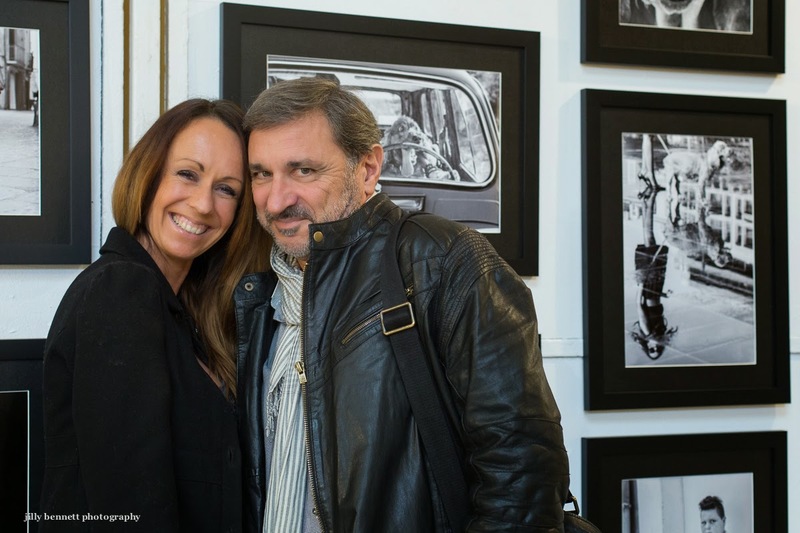 On the left my beautiful friend Emmanuelle Deleuse, who was the star in my display at PhotoMenton. Thank you again, dear Emma and so happy to see you yesterday. And with her, dear Patrick Hanez, photographer par excellence, and such a good friend to me. I call Patrick my 'gourou' because he's always there to answer any question relating to my camera. Thank you, Patrick. So proud - on Saturday evening my photos were awarded the 'Prix du Casino Barrière de Menton', which is a two month exhibition during 2015 in the casino building. And last night, I had the honour to come third in the Public Vote. Thank you so much to those who voted for me. PhotoMenton is a fabulous exhibition of the work of 110 photographers, taking place over 10 days. We meet. talk, laugh, learn, make more friends. See you next year! A gauche ma belle amie, Emmanuelle Deleuse, qui était la star dans mon affichage à PhotoMenton. Encore merci, chère Emma et si heureuse de te voir hier. Et avec elle, mon cher Patrick Hanez, photographe par excellence et un très grand ami. J'appelle Patrick mon 'gourou' parce qu'il est toujours là pour répondre à n'importe quelle question touchant à mon appareil photo. Merci, Patrick. Si fière - samedi soir on a attribué à mes photos le ' Prix du le Casino Barrière de Menton ' qui m'offrira une exposition de deux mois en 2015 dans le casino. Enfin hier soir, j'ai eu l'honneur d'arriver troisième dans le Prix du Public. Merci mille fois à ceux qui ont voté pour moi. PhotoMenton est une fabuleuse exposition du travail de 110 photographes, durant une dizaine de jours. Nous nous rencontrons, parlons, rions, apprenons et nous nous faisons de nouveaux amis. À l'année prochaine! Congratulations!! I suspect I am not the only reader to look forward to the casino show next year. That should be great fun for you along with providing a superb show for the public. Bravo, Jilly! You deserve it. Now even more people will enjoy your beautiful photos. Such a good portrait. And bravo, Jilly! Good for you. Thank you so much everyone for your kind words. I really appreciate it. It was a great 10 days at PhotoMenton. Your encouragement means so much. Congratulations Jilly! A well deserved honor for sure. Congratulations, Jilly. You must feel good about the recognition for your efforts. Congratulations dearest Jilly, I am so thrilled that you received these awards! ...thrilled but not surprised because I think your work gets more and more outstanding as years go by. As you know I was particularly excited with the results of your photo shoot with Emma and her dog. First I think she's a fantastic model (will you please pass on my appreciation to her?) and second I believe you outdid yourself on this occasion. I do hope you do more photo shoots next year, you're ready for it technically and I think it will take your photography level one step up. Again, congratulations Jilly, I'm SO PROUD!